This was their eighth year and my second year as an attendee. I first attended three years ago. Naturally my experiences are as vastly different as the time in between. Sharing space with hundreds of supportive, passion driven, like minded people for three consecutive days reinforced to me – my dream is actually my reality. The camaraderie is real and the evidence speaks volumes for our mutual respect. While we each have our individual niche and campaigns, it’s the four legged common denominator who inspires us. For them – we write, for them we want to know more. keynote speakers – who’ve forged ahead, and have valuable life lessons to tell. Their stories are the ones I cling to the most. They motivate me to remain driven. They remind me you deserve the very best of me. brands – spending hours to answer questions about every aspect of their product(s). The more I ask, the more I know, the better I am able to “honestly and sincerely” educate and inform you! This is my community. And I love it! I’m ready to take this thing to the next level and nothing would make me happier than to know you’re on this journey with me and my Boys! Besides my new found energy, excitement and inspiration? 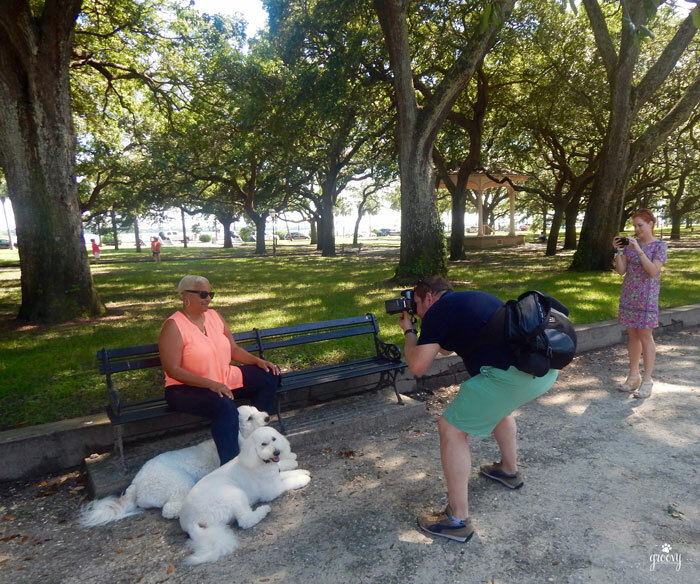 And although it was wonderful to see her, it was incredible for her to recognize me not only as her mother but also as the founder and creator of Groovy Goldendoodles™. This is like a real conference Hon, they attend workshops and have award dinners and everything! Watching her assimilate her surroundings, completely blown away with the size of my world, reinforced how vitality important it is for ALL of US to follow our dreams. keeping you informed, engaged and always a part of our world. #mypriority! It warms my heart when I hear from you. Comments and caffeine are the best parts of my day. 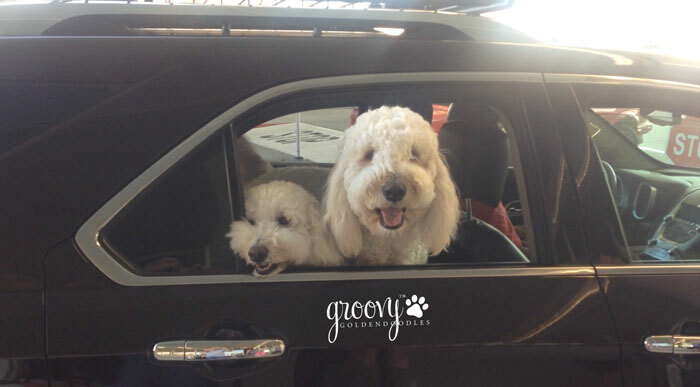 When you share, it gives me insight into what you want more of when it comes to Groovy Goldendoodles™ So let’s talk – often! This is our contribution to the BlogPaws Wordless Wordy #oops!Wednesday Blog Hop. Great post Cathy. I was so happy to finally meet you in person! 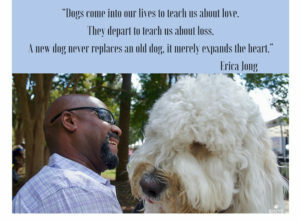 I’m so looking forward to Blog Paws 2017 in our great state, South Carolina. My girl Jan! It was a treat to meet my homegirl 🙂 Loved celebrating the news about BP 2017 with you that night! Can’t wait to see you again. Let’s keep in touch my friend. We are still bummed we had to cancel last minute, but we are up for next year and rearing to go! 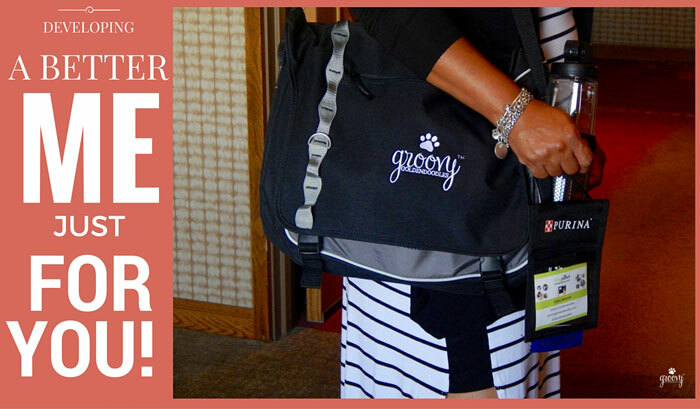 We love BlogPaws and we love blogging! You were truly missed Emma. But you’re absence was certainly understood. I bowed out in 2015 for the same reason, totally understood. Can’t wait to see you in 2017. Hugs to your Mom. 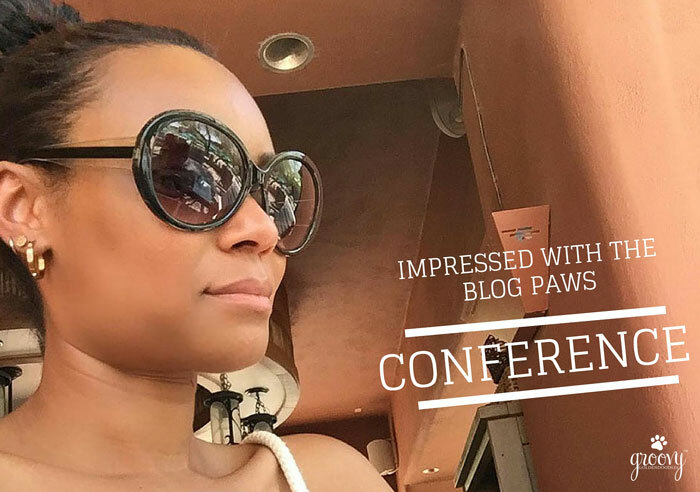 Glad to hear you learned so much from your blogpaws experience! Thanks Talent Hounds. It was a memorable experience, and I hope to put all I’ve learned into action. I really miss you!!! And Mila misses the boys! I heard you were in town recently. Next time, give me a shout. We miss you all too! We came through the neighborhood for a hot second, your cars weren’t in the driveway! Well worth the extra words for #WordlessWednesday! We hope to join you next year and be inspired by our fellow pet bloggers – such an awesome comunity! That’s wonderful! I would love to meet you! We really wish we could have gone – hoping for 2017! Great photos! I’ll definitely attend next year for sure!! Reading your article made me even sadder I wasn’t able to attend 🙁 !! There was so much going on all at once – the entire weekend – #whew We can always take a photo next year with Harley & Jaxson. Great to meet you and Sugar! My mom and I had so much fun finally meeting you in person! I can’t wait for next year when I can finally meet you two! We will have to have a boys night or something! Meeting you Spencer and your mom was the highlight to our trip. It will be a blast next year when the three of your “Doods” get together. Take care couz…..
You both would have loved it my two French Bulldog friends. Can you make it to Myrtle Beach? The Boys will be there! SO glad I finally got to meet you! You’re awesome to hang out with. And lucky you having BlogPaws right in your backyard next year. Still waiting for a Texas BlogPaws! Loving this!!! It brings a huge smile to my face reading this. I’m glad you had such a great time. When you find something that truly brings you happiness and joy…. Run with it sister. Thanks Lindsay! It was everything I wanted it to be and more! Can’t wait till next year, want to seriously work on my milestones between now and then. You’ve gotta join us in 2017! Gosh, I wish we would have connected. I arrived a bit late and was trying to catch up the whole time. LOL. However, it was a great conference and I will be focusing on some of the same things as you. Hopefully, we can meet in Myrtle Beach! Oh my gosh, Harley and Jaxson’s smiles are priceless when you got back home! How nice that your daughter could join you and recognized your passion and talent. I know the rest of us sure do too! Great post — energetic, positive, and inspiring. Sounds like it was a great weekend! I love the photo from the airport. The doods were happy to see you that’s for sure! Looking forward to more posts!! Thanks for letting me crash the conference Mom. It was a lot of fun! Can’t wait till next year! Thanks for coming! It was great sharing my world with you! 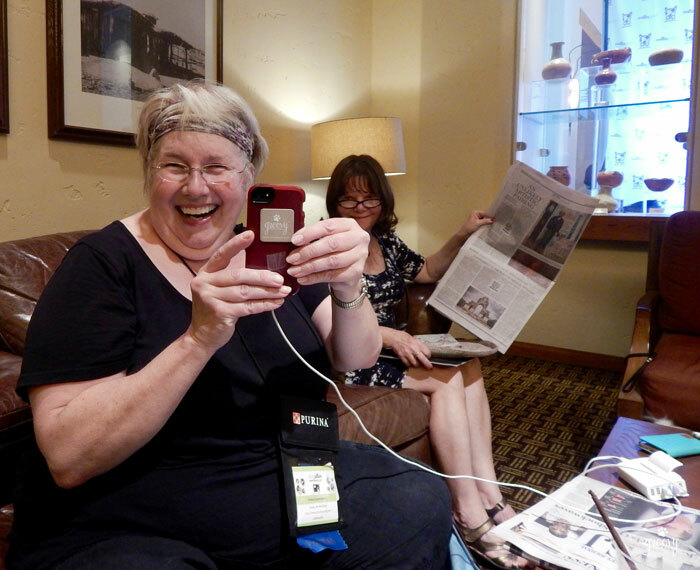 Two years now we’ve missed each other….next year I finally get to meet you! I’m so glad you had a great conference and it inspired you so much! OMDoodle! Meeting you will be just the best Jan! Can’t wait 🙂 Hope your enjoying your 4th of July my friend! HA! You got jokes about that fancy camera! Yes, of course I’ve forgiven you. In fact – next year I’m looking for a photo shoot from you of the Boys. No excuses! You should be super star photographer next time I see you 🙂 Hope your enjoying your 4th of July my friend! 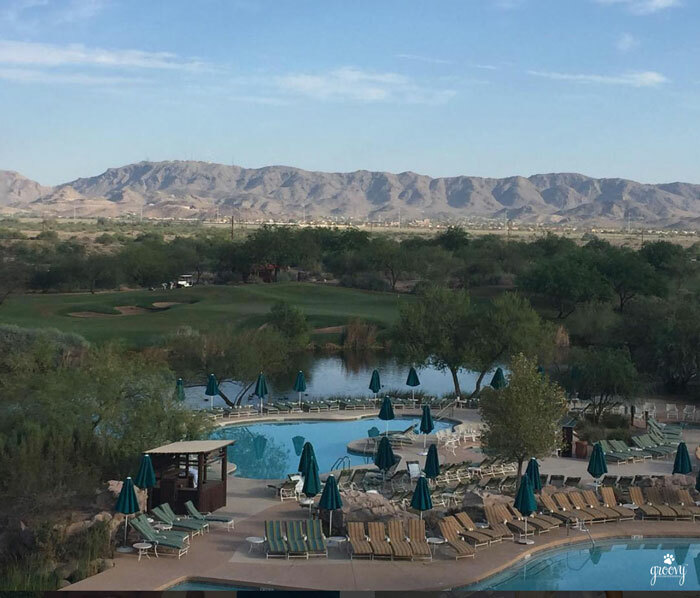 What a great conference you had and how cool your daughter went with! I’m wanting to go to #BlogPaws2017, but financially I just can’t see it happening. There are sooooo many people I want to meet – like you and your boys! I’m not interested in monetizing my blog at all, or even in spending a whole lot of the green stuff on it; but like you, I love our community.